Student loan debt is topping $1.2 trillion dollars and 13% of students defaulting on their loans. In August, President Obama signed a bill preventing the doubling of interest rates on federal student loans for those entering college this year. Students borrowing the maximum amount this year will save about $4,600 in extra interest...but it’s a temporary fix. Next year’s rates, while capped at around 8%, are tied to the fluctuations in the market. But even if the rising interest rates on college loans can be brought under control, it’s doing nothing to slow the rise in the cost of college. Student loan debt is topping $1.2 trillion dollars this year, and 13% of students are defaulting on their loans. 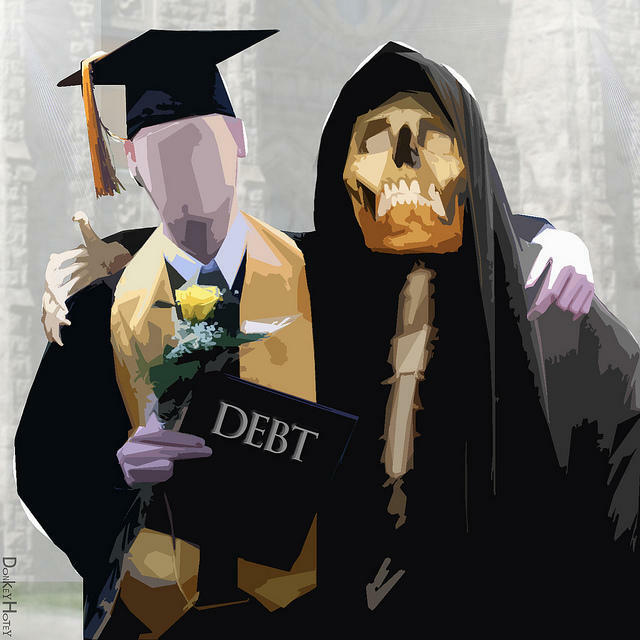 Today, we talk about student loans and the cost of college. And, we want to hear from you. Are you paying back a student loan? How big is your debt? Saying a college education is the "surest path to the middle class," President Obama announced a plan Thursday to allocate federal aid to colleges and universities based in part on their affordability.